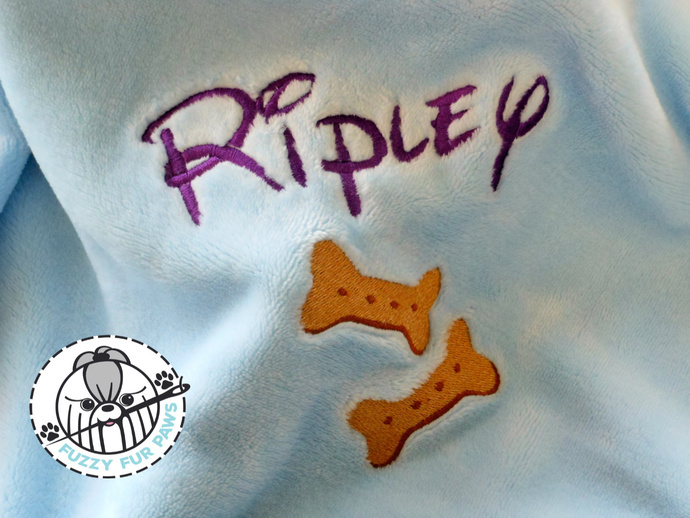 This adorable pair of dog biscuits and your dog's name will be stitched in the lower right corner of the blanket. Please be sure to provide your dog's name when you order. Dog's love blankets! So why shouldn't they have one of their own to snuggle in? We think they should! Blankets aren’t just for winter. Our customers use them year round. Use them in their bed or their kennel. Even their favorite napping spot or on the furniture. Take them in the car on trips! We've been told some dogs get so attached, they can’t sleep without them and even drag them from room to room! We have many fonts to choose from. We will help you find just the right one. 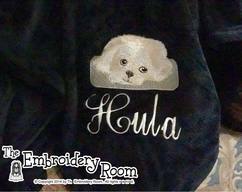 We can select a satin stitch or a fill stitch. 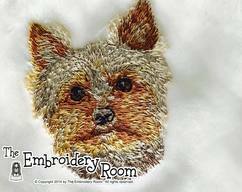 If your dog tends to be a little rough and tough, you might prefer a fill stitch for a more durable stitch quality. 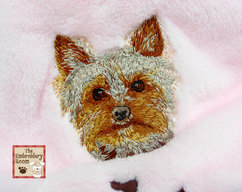 If your dog is more mellow, you will love the satin stitch. We will discuss this with you after we receive your order. Blanket measures 30" x 40", standard baby blanket size. That's because they are real baby blankets! Our dogs deserve the finer things in life don't they? 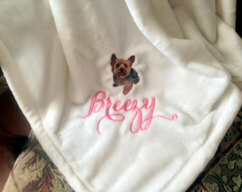 We feel they are truly the softest and highest quality blankets on the market today. We've done our research and our customers agree! "Best blanket I have ever purchased for my dog. Top-notch quality. The blanket is super soft and snuggly! The embroidery is super cute. My dog LOVES this blanket".